Disclosure: This post may contain affiliate links, which means that I may receive a commission if you click a link and purchase something that I have recommended. 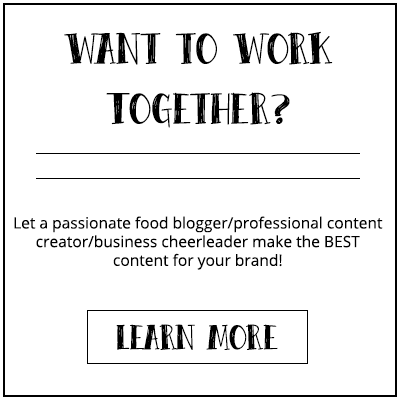 While clicking these links won't cost you any extra money, it will help me create more recipes and tips. I'll be forever grateful for your support! One of the most popular recipes on my blog is the Venezuelan Beef Empanada recipe. Even though it’s an old recipe, to this day it’s still the most viewed recipe. So, following up on that unique recipe, I decided to create an equally unique and international appetizer dish. 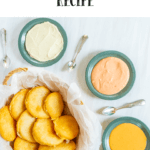 This mini arepas recipe is easy to make, very different than the usual appetizer, and not to forget very tasty. Arepas are a traditional Latin-American dish. As a half-Latina, born in Venezuela, I grew up with arepas being the main part of all the dishes. Now that I’m older I often try to incorporate the taste of my roots and my interest in international dishes to surprise anyone who joins me at my dinner table. I have to admit that I’m not the best at making normal size arepas. My normal arepas are often too thin and look deformed. I have this theory that my hands are just too small to make a decent size arepa. On the other, my mini arepas are just perfect. 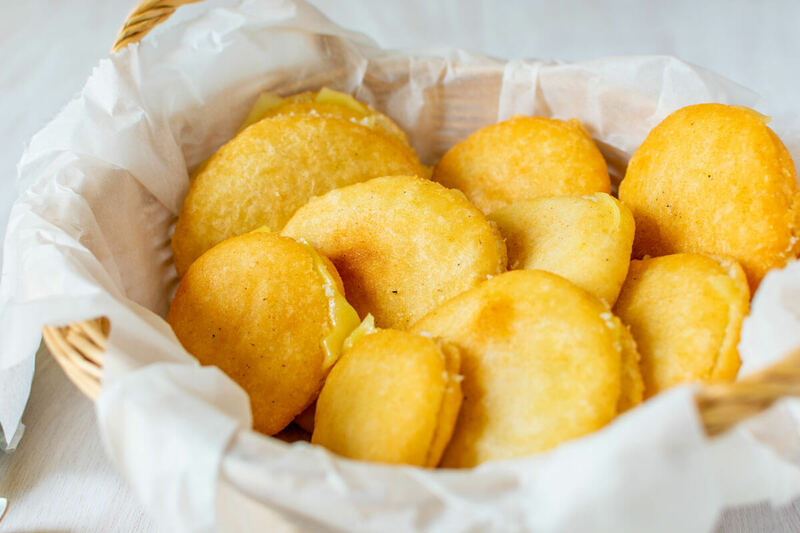 My mini arepas, this mini arepas recipe, will make my mama proud! Arepas have to be made with corn flour. 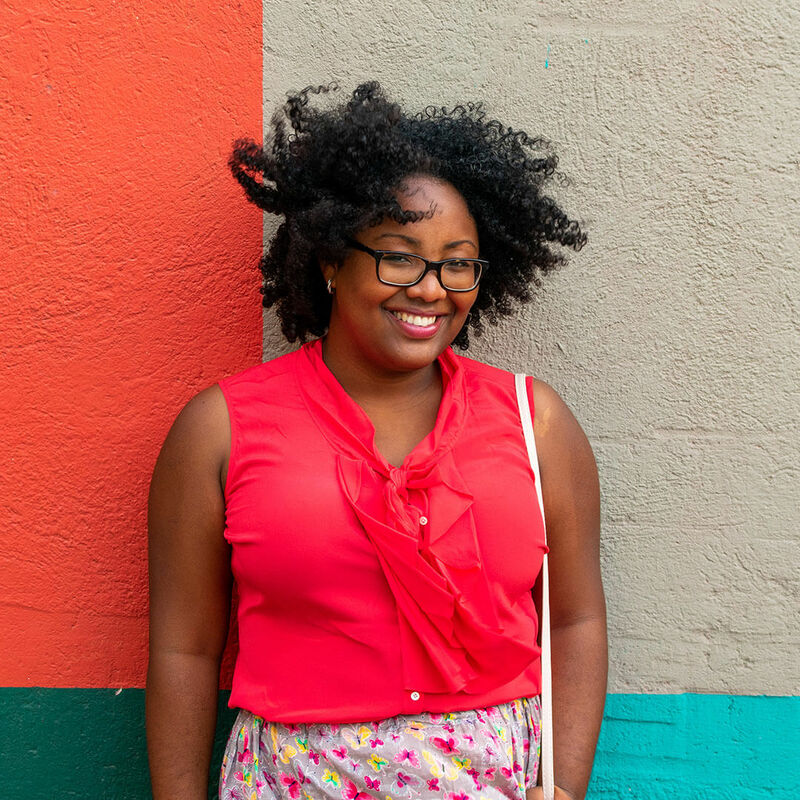 I always—and I really mean always—make it with Harina P.A.N. because it’s pre-cooked and the quality is so much better. I chose to stuff it with cheese because it’s much easier, but you can make the stuffing of your desire to put in, like shredded chicken. I chose Dutch cheese because nothing beats a good and sharp-tasting Dutch cheese. The sauces can be anything you want as well. I went with salsa rosada—equal part mayonnaise and ketchup—, 1000 island dressing, and my staple garlic sauce. You can find the recipe for the garlic sauce here. Some guacamole, pico de gallo, or salsa verde would also go really well with the arepas. 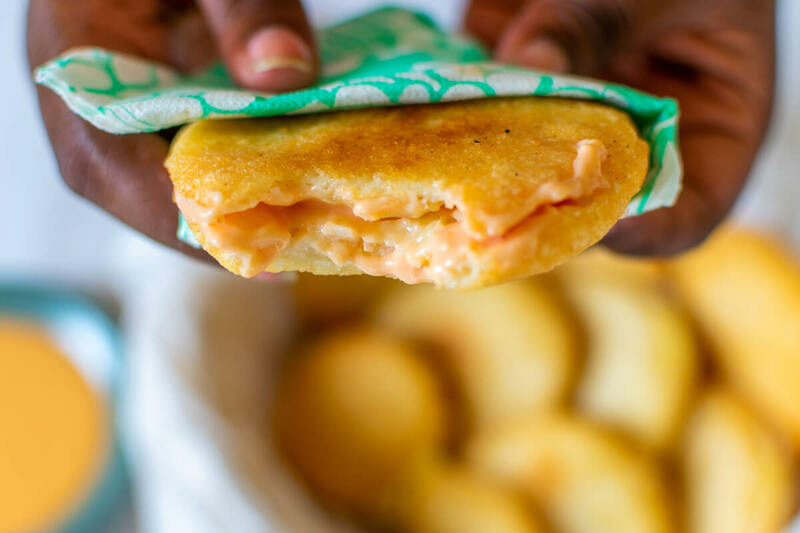 You can also tweak the mini arepas recipe with cheese to create a diverse platter with differently stuffed mini arepas. 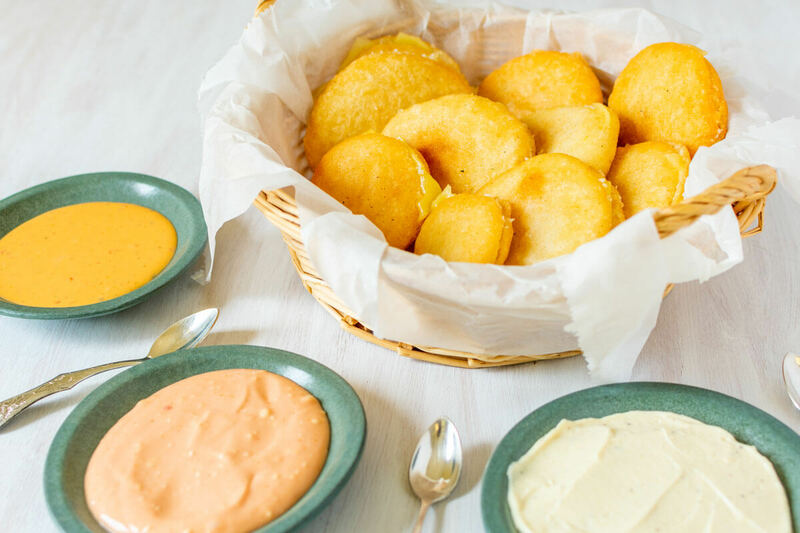 You can make arepas two ways, by frying it or baking it. My mini arepa recipe says to fry them. I do this because it comes out nice and crunchy with a beautiful golden color to it. But, if you want to make it healthier you can bake it. First, you must sear the outside of the arepas in a Dutch Oven or Caldera (or if you want to go really fancy, a Le Creuset) with just a bit of oil and then place it in the oven a bake it for around 20 minutes. You’ll know it’s done when you tap on it and it makes a hollow sound. I still truly recommend you to fry it. YOLO! 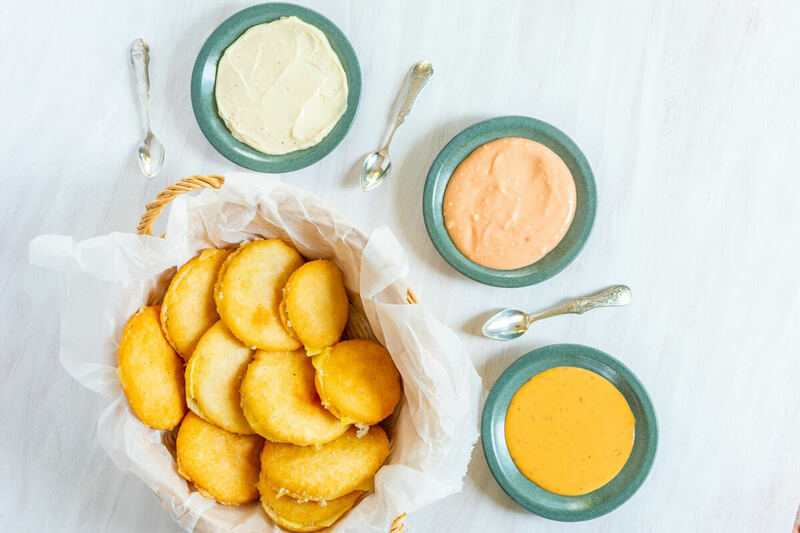 Tasty mini Venezuelan arepas made with corn flour, cheese, and an assortment of sauces. A tasty and unique appetizer. In a deep bowl add the boiled corn flour. Gradually add the water and knead till you get a dough that does not stick to your hands anymore. This takes around 8 minutes. Take a piece of the dough and roll in into a ball the size of tennis ball. Press the dough down to create a disk that's about 1 inch. Place it on a plate and do the same with the remaining dough. Add plenty of oil in the pan (see note 1) and let it heat on medium-high. When the oil is sizzling hot, turn down the heat to medium, add the arepas and cook them for about 5 minutes or until golden brown. Take them out and place them on a plate covered with paper towels. Cut them open and add one cheese slice. 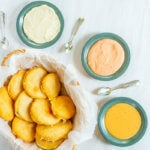 Serve the arepas with your sauces of choice. 1. The amount of oil you add depends on the size of your pan, but make sure that it's enough oil that it will cover the arepas.